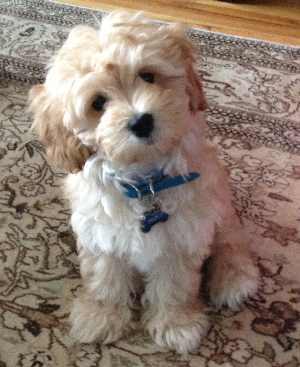 We have a three month old "Poovanese", writes Sylvia. He was started on the Royal Canin Mini Puppy brand. I didn't see it on your list and I would like to ask what grade you would give this brand. I really want to give him the best we can afford. What is the best line of food in your opinion? There are SO many to choose from. Our puppy's name is Albus, as in Albus Dumbledore, headmaster of Hogwarts School of Witchcraft and Wizardry in the Harry Potter books (my daughter is a BIG Potter fan!). He's three months old this week. We always enjoy hearing from our readers and love to review foods you feed your puppy or adult dog. Here is what I learned from doing a review of Royal Canin Mini Puppy Brand. MINI PUPPY Size Health Nutrition™ is formulated to meet the nutritional levels established by the AAFCO Dog Food Nutrient Profiles for growth. This diet contains 3912 kilocalories of metabolizable energy (ME) per kilogram or 373 kilocalories ME per cup on an as fed basis (calculated). 1 cup = 8 fluid ounces = 90 grams. Canine Health Nutrition Mini Puppy 33 Formula for small breed dogs from 2 to 10 months of age provides complete and balanced nutrition for growth and is comparable in nutritional adequacy to a product which has been substantiated using AAFCO (American Association of Fed Control Officials) feeding trails. Subtract 2 points because it contains chicken fat as the third ingredient. Fish oil is listed as number 11 which means the amount of fish oil is much less. This food rating system may not tell the entire story. On the plus side, it does contain antioxidants lutein, vitamins E and C, and taurine which assists the immune system. A puppy’s immature immune system can be vulnerable to many forms of bacteria, virus, and other germs. It also contains fructooligosaccharide, a prebiotic which helps support the growth of healthy bacteria in the gut. This is very important for establishing a good flora content in the intestinal tract. Royal Canin Mini Puppy Food also includes a variety of essential vitamins added separately which is necessary for the health of the puppy. 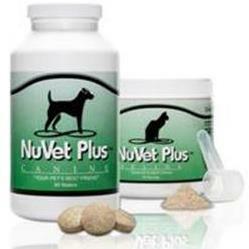 Many high quality dog foods include actual food ingredients that have these vitamin is provided naturally. The primary meat protein source is Chicken meal. When a meat is included in its meal form, it contains more protein/less moisture, ounce for ounce. This means that chicken meal has more protein per ounce than the fresh chicken you or I may eat. This diet contains a variety of fillers including brewers rice, two sources of corn, wheat gluten and beet pulp all of which are less expensive choices usually added to low cost dog foods. While adding bulk and calories, there is little else of added value. Brewers rice, the second ingredient, is the fragments left over after milling whole rice. It adds calories but has little nutritional value to dogs. Gluten is added in the form of corn gluten and wheat gluten (ingredients number five and six). It is the residue left over when the corn or wheat has had the starch removed from them. Gluten are considered a grain based protein, but do not provide all the essential amino acids needed by dogs. The seventh ingredient is beet pulp, a high fiber by-product of sugar beet processing. Why is this diet recommended by Breeders and Vets? This company has a long history of promoting to dog breeders and vets. The company provides free samples for breeders to give to new puppy buyers and offers discounts to breeders who use their extensive line of products. The company also produces special formulas for ill dogs and markets to veterinarians who may need to recommend a therapeutic diet for a patient. Royal Canin is also active with the American Kennel Club and contributes to AKC publications. Why is this food so highly rated on sites such as Amazon? In my opinion, it is all about taste. Puppy owners, especially small dog owners, are very nervous about the small amount of food their dog consumes. When we offer our tiny breed puppies a 1/8 to ¼ cup serving, it just “feels” like we are starving them. When they don’t eat, we get nervous. Chicken fat is the third ingredient meaning that it is available in high proportion to other ingredients. Chicken fat is something most dogs readily eat. The eighth component is “natural flavors.” There is no way of knowing what natural flavors they add but I would suspect they very canine friendly. There is sufficient evidence just looking at the ingredients to determine that this is a highly palatable food. The food also has enough filler to satisfy hungry puppies meaning that your puppy will not go looking for food elsewhere. What goes in, naturally must come out. Puppies that eat food that is high in fiber are likely to produce firm stools. This added benefit is also promoted by the company. The Bottom Line? This is a somewhat above average dog food that can benefit puppies. If your puppy is eating the food well, growing and gaining weight, producing well-formed stools and seems happy, then stick with the food. 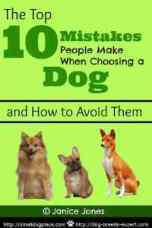 When puppies reach maturity, then it is time to switch to an adult food. At that point, you will want to re-evaluate your options and choose accordingly. Average cost per pound ranges from 2.37 and up online not including shipping. Costs can vary depending on your location when purchasing the food over the counter. Do You Have A Favorite Food You'd Like Me to Review?